WHITEPAPER: If you’re using Visio or Excel for data modeling, you’re working way too hard. Using Visio or Excel for data modeling is like trying to drive a nail with a rock. Sure, the rock is a simple, readily available tool, but if you’re trying to build a house the process can lead to cost overruns, project delays, and a fair amount of personal pain. Is data modeling outdated? 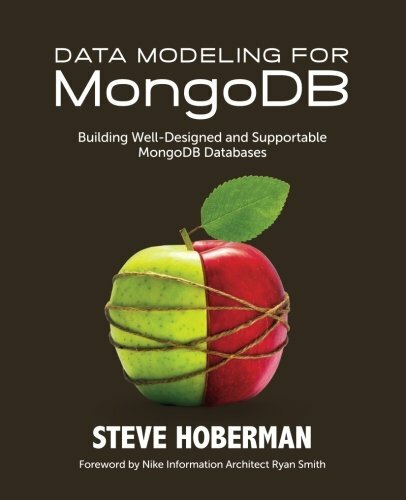 This excerpt from the book Data Modeling for MongoDB: Building Well-Designed and Supportable MongoDB Databases by Steve Hoberman argues that data modeling concepts are still vital to business success and introduces useful terminology and tips for simplifying a complex information landscape with MongoDB applications. Hoberman is the most requested data modeling instructor in the world and has educated more than 10,000 people across five continents about data modeling and BI techniques. In this excerpt, he emphasizes the necessity for businesses to implement data modeling concepts and explores a variety of business uses for data models. This excerpt is from the book Data Modeling for MongoDB: Building Well-Designed and Supportable MongoDB Databases, by Steve Hoberman. Published by Technics Publications, LLC, Basking Ridge NJ, ISBN 9781935504702. Copyright 2014, Technics Publications. Here’s a great article on how Data Modelling still applies to the Big Data world and especially with regards to NoSQL. Data modeling, then, still has an important role to play in NoSQL environments. “The data modeling process is always there,” he says. You can look at that role in a simple way, van der Lans explains, by thinking of it as a process that leads to a diagram. In the process of creating the diagram, you are trying to understand what the data means and how the data elements relate together. Thus, “understanding” is a key aspect of data modeling. Just as is the case when you are doing data modeling for SQL environments, data modeling for NoSQL requires doing the same homework: Talk to end users and read reports to come up with some logical model that specifies the structure and meaning of the data. That’s the business-oriented step, he notes. “The moment we want to interpret data we have to understand it,” he says. Implementing that logical model – the physical and technical aspect of data modeling – is what changes dramatically in NoSQL environments compared to SQL environments. In the SQL environment, the data modeling process that leads to such an understanding lives inside the database server. In NoSQL environments, however, the data modeling ends up in the code of the application that reads the data, van der Lans says. “Twenty years ago, if you would do data modeling, the result would always be a database structure – tables and columns.” In today’s NoSQL environments, “what will happen is the data model ends up as lines of application code….The structure is there but in the lines of application code.” Because of that approach, it revolves around just changing how you want to look at the data, there’s no requirement to reorganize the physical database.